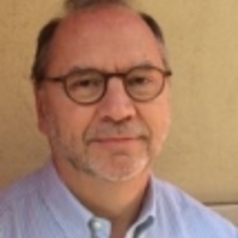 Peter Piot is the Director of the School and a Professor of Global Health. He is the Chair of the MRC Global Health Group and a member of the MRC Strategy Board. He is a member of the Board of the Global Health Innovative Technology Fund in Tokyo, Chair of the King Baudouin Foundation US and a member of the Oxford Martin Commission on Future Generations. Previously he was President of the International AIDS Society, Chair of the WHO Ebola Science Committee and Chair of the European Forum for Forward Looking Activities. In 2009-2010 he was the Director of the Institute for Global Health at Imperial College, London. He was the founding Executive Director of UNAIDS and Under Secretary-General of the United Nations from 1995 until 2008, and was an Associate Director of the Global Programme on AIDS of WHO. Under his leadership UNAIDS became the chief advocate for worldwide action against AIDS, also spearheading UN reform by bringing together 10 UN system organizations. He has a medical degree from the University of Ghent (1974), and a PhD in Microbiology from the University of Antwerp (1980). In 1976 he co-discovered the Ebola virus in Zaire while working at the Institute of Tropical Medicine in Antwerp, Belgium, and led research on HIV/AIDS, sexually transmitted diseases and women's health, mostly in sub-Saharan Africa. He was a professor of microbiology, and of public health at the Institute of Tropical Medicine, Antwerp, the Free University of Brussels, and the University of Nairobi, was a Senior Fellow at the University of Washington, a Scholar in Residence at the Ford Foundation, and a Senior Fellow at the Bill & Melinda Gates Foundation. He held the chair 2009/2010 "Knowledge against poverty" at the College de France in Paris. He is a Fellow of the Academy of Medical Sciences and was elected a foreign member of the National Academy of Medicine of the US National Academy of Sciences, and is also an elected member of the Académie Nationale de Médecine of France, and of the Royal Academy of Medicine of his native Belgium, and a fellow of the Royal College of Physicians. He has received numerous scientific and civic awards including an honorary doctorate from seven universities, the Canada Gairdner Global Health Award, Robert Koch Gold medal, Prix International INSERM, Paris (2015). He was a 2014 TIME Person of the Year (The Ebola Fighters), and received the Prince Mahidol Award for Public Health. In 2013 he was the laureate of the Hideyo Noguchi Africa Prize for Medical Research. He received the Thomas Parran Award from ASTDA, the Nelson Mandela Award for Health and Human Rights in 2001, the Frank A Calderone Prize in Public Health in 2003, and the RSTMH Manson Medal and Bloomberg Hopkins Award in 2016. He has published over 580 scientific articles and 17 books, including his memoir 'No Time to Lose' in 2012 (WW Norton), translated into French, Dutch, Japanese and Korean, and 'AIDS between science and politics' in 2015 (Columbia University Press). He was knighted as a baron in 1995 in his native Belgium, and awarded a CMG in 2009 and Honorary KCMG in 2016.